Enjoy the best inspirational, motivational, positive, funny and famous quotes by Anthony J. Carson. Use words and picture quotations to push forward and inspire you keep going in life! 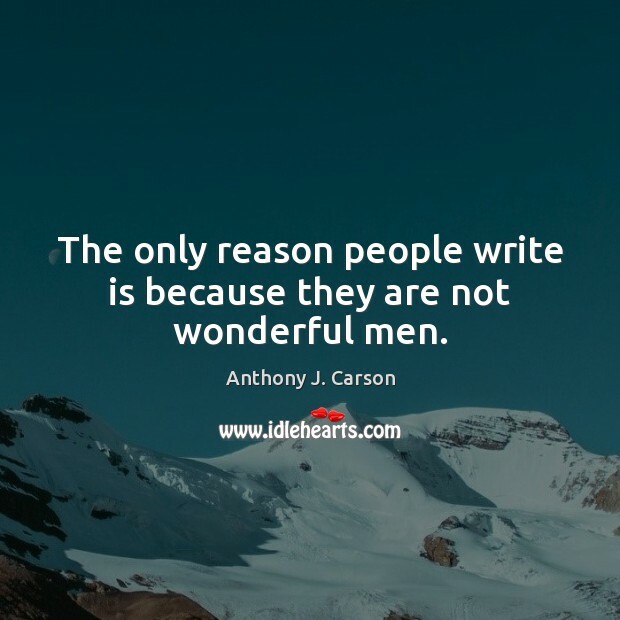 The only reason people write is because they are not wonderful men. 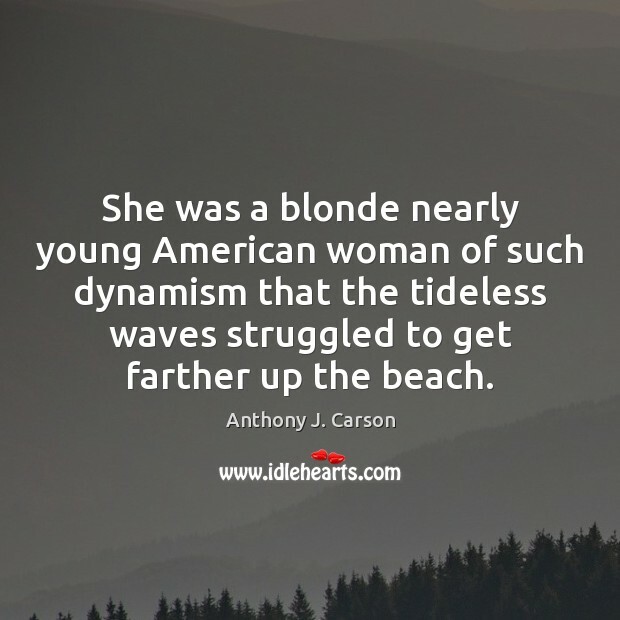 She was a blonde nearly young American woman of such dynamism that the tideless waves struggled to get farther up the beach. 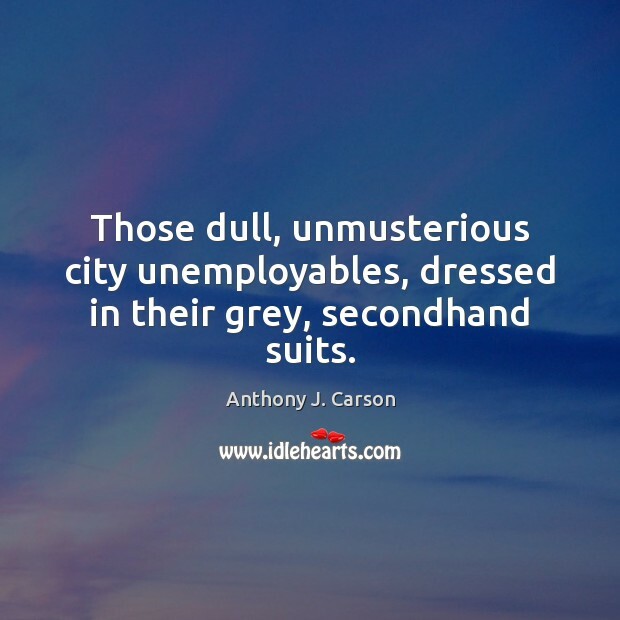 Those dull, unmusterious city unemployables, dressed in their grey, secondhand suits.